2015 Quilting Bees-- in 2015 there will be optional quilting bees to join in place of the block lotto or mystery quilt for the monthly guild activity. There are two levels, beginner and advanced. Kristin is organizing the groups according to what everyone signed up for and has sent out an email to all participants with instructions. Next Meeting-- Thursday, January 15, 2015, 7 PM Textile Center. Agenda items include the Mystery Quilt reveal and Board nominations. Board elections will occur at the February meeting with the new terms starting in March. Friday, January 30, 7-9 PM, Textile Center-- Trunk show and reception. Free for Minneapolis Modern Quilt Guild members, $5 for non-members/guests. Saturday, January 31, 10 AM-4 PM, Textile Center-- Advanced Piecing workshop. $40 for Minneapolis Modern Quilt Guild members, $50 for non-members. A copy of "Vintage Quilt Revival" is required for the class. Class description: Why should modern quilters learn to make traditional blocks? 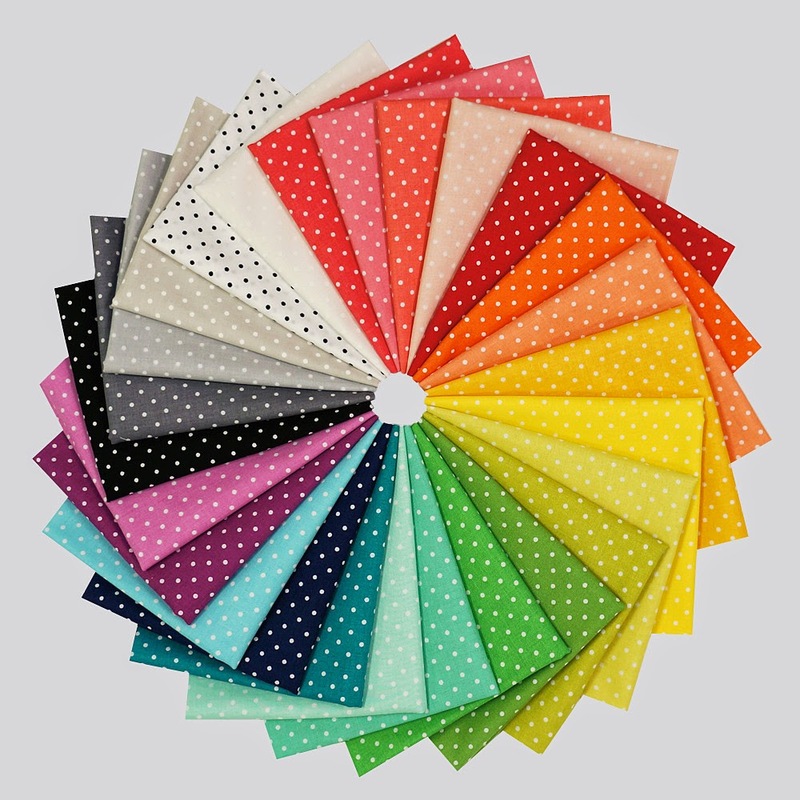 Because they're like piecing bootcamp, perfect for honing your technique and increasing your accuracy, no matter what type of quilting you love! In this workshop, take your piecing skills to the next level and sew more complex designs, with advanced techniques such as foundation paper-piecing, piecing with traditional templates, and partial seams. We'll spend the day making several of the blocks from Lee's book, "Vintage Quilt Revival: 22 Modern Designs from Classic Blocks." Students will leave with a good start on a sampler quilt from the book, plus the skills to complete the rest! Registration for the Advanced Piecing Workshop will open to Minneapolis Modern Quilt Guild members via an email sent to current members on January 1st. Class limit is 25. Blog Posts – We're always looking for members willing to help keep our blog fresh. Many thanks to those who continue to volunteer to help keep this up! Please sign up with Carrie if you'd like to write a short post. Any topic will do! 2015 Spring In-Town Retreat-- will be held on April 11-12, 2015 at Millie P's in downtown Anoka. Hours of the retreat are Saturday, 9 AM to Midnight and Sunday 9 AM to 7 PM. Additional details will be available on the blog after the New Year. Get Inspired Challenge-- The spring challenge is "Get Inspired". Simply make something and share with us your source of inspiration. The reveal will be at the April meeting and participants should bring in their finished project with the original source of inspiration (or photo of). No other rules or restrictions. Hi everyone! I'm going to do a quick (late) post to add to the Sat. Series on Holiday gifts. Carrie posted about the Noodlehead divided basket a few weeks ago so I am skipping that. 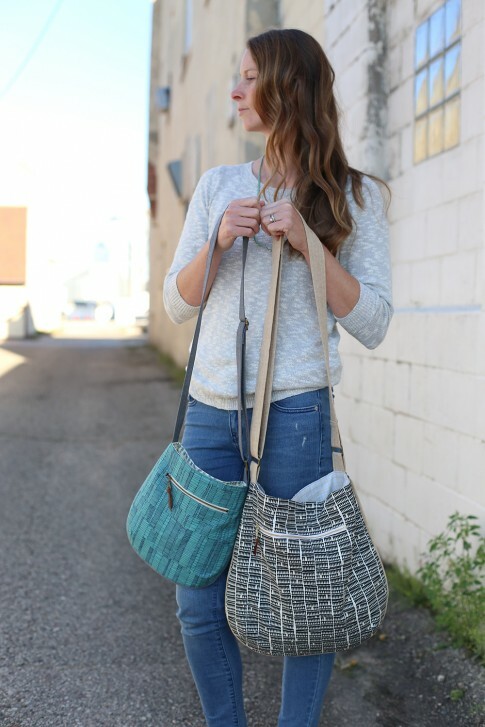 The Patterns for the Molly Market Tote and the Emma zip bag were purchased from Michelle Lizcano's Etsy shop - PaisleyPear Patterns/SuperOrangeSewing. Have made 7 and will make more. 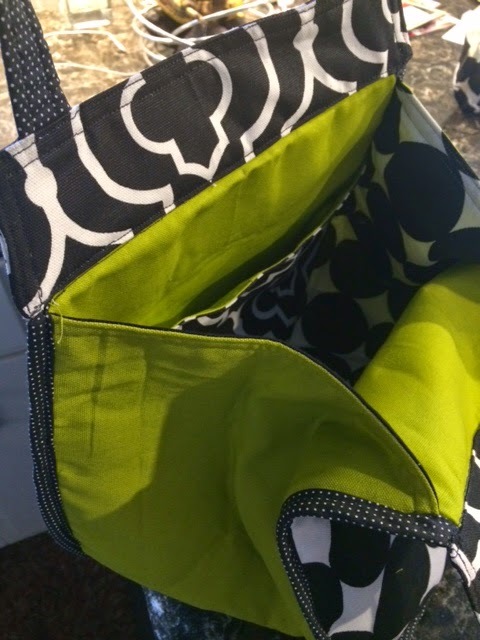 I think 2 or 3 coordinating bags make a great gift! Find outdoor/canvas fabrics on Jo-Ann's red tag table and get them when they are an additional 50% off. If fabric is less than 58", buy 1.25 yd instead of 1 yd. You can make strap wrap and binding from some thinner coordinating material if main fabric to hard to work with. I used 3 coordinating fabrics for one set and mixed the pieces all around...though it works great with just 2 fabrics as well. Next time red-tags go 50% off, I'll be making myself some of these. Be forewarned...this takes almost as long to cut all the pieces out , and "prepare" them, as it does to sew them together! Gift bag for Colby: Emma Zip bag - Also from Michelle Lizcano - CLICK HERE for link to Etsy I made a couple sized as per the pattern, and then sized another one up slightly larger. Dopp kit bag -- this was a free pattern I originally found on AllFreeSewing.com, but I think it was designed by Lindsay Wilkes at The Cottage Mama. 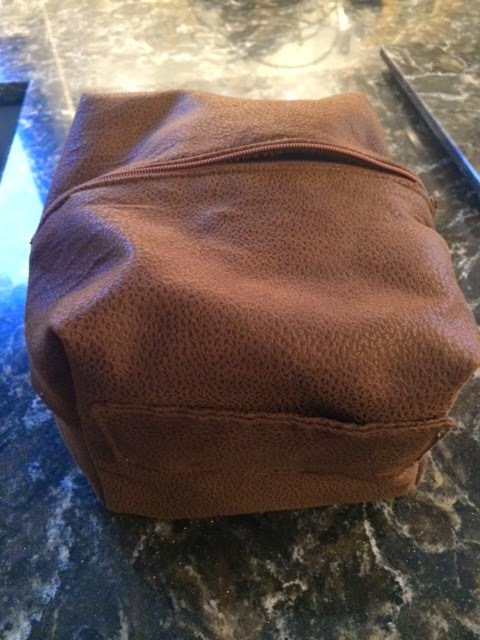 CLICK HERE for Boxy Dopp Kit If I made it again, I'd cut it a little bigger..maybe another 1.5...to give more room inside for shaving stuff. 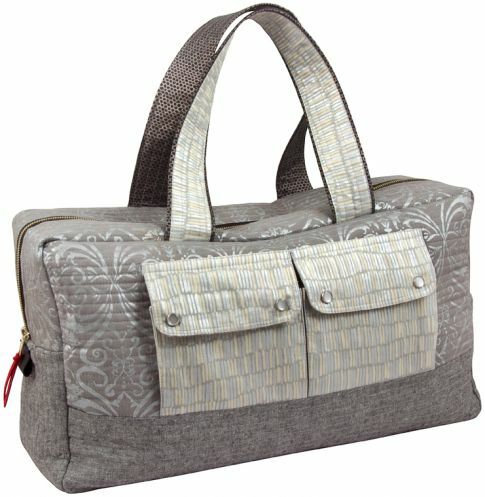 Weekender bag - This is a free pattern found here Carpetbagger bag. I made 2 of these, the second one larger than the first. 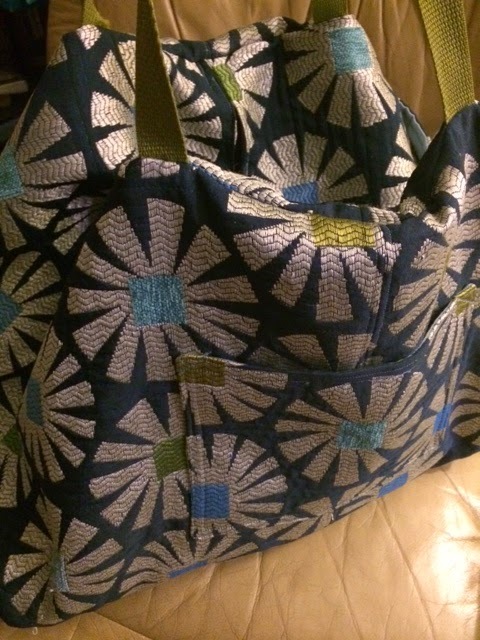 The pattern didn't call for lining, but I lined the bag. 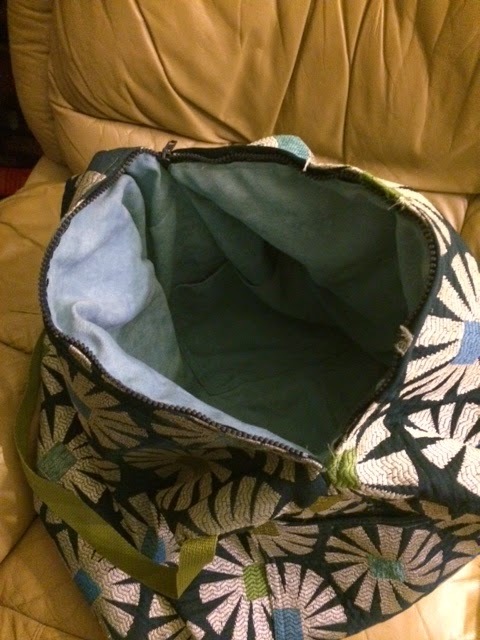 I also added some more pockets (both exterior and interior, and lined them), and put magnet closures on the exterior pockets. It works great for weekends. If I made it again, however, I'd switch the direction of the zipper so it runs the same direction as the bottom length. I think it would be easier to get into the that way. I also used Jo-Ann's red-tag fabric for this. This was upholstery fabric, purchased when red-tags were 50% off. It may be too late for last minute Christmas gifts, but hopefully these will be useful at some point for you. The meeting was held on Thursday, November 20, 2014 at the Textile Center at 7 PM. Below is a summary of the meeting. 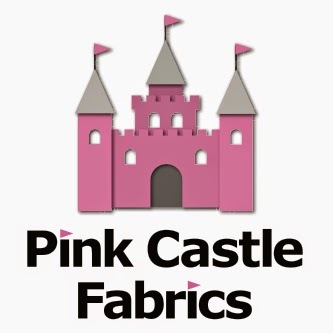 Next Meeting-- Thursday, December 18, 7 PM Textile Center. This meeting is the annual holiday social and pot luck. There is a sign up sheet for food and drinks to make sure we have a balance of items. If you didn't get a chance to sign up and will be there, send an email to the board (minneapolismqg [at] gmail [dot] com). We will also be having a "secret santa" fabric swap. Sign ups for the secret santa were sent out after the meeting with instructions. If you signed up for the secret santa and cannot attend in December, please make arrangements to get your fabric gift to the meeting. Show and Tell Sign Up Sheet-- We're asking everyone to sign up for show and tell at the meeting to make sure that we can keep track of it all for the photos on Flickr and in the minutes. It also gives you the chance to note if the quilt/item is from a specific pattern or tutorial that others might be interested in. Blog Posts – We're always looking for members willing to help keep our blog fresh. This quarter's Saturday Series is Holiday Gifts. Please sign up if you have ideas for holiday gifts or favorite tutorials to share. 2015 Board Nominations – The board begins a new term starting in March of 2015. Nominations will be at the January meeting with elections for all board positions in February. The Vice President position will be vacant in 2015 since Vanessa's term is expired. If anyone is interested in serving on the board, please contact an existing board member. The board is happy to answer any questions you may have about time commitment, duties, etc. The guild by-laws can be found here. 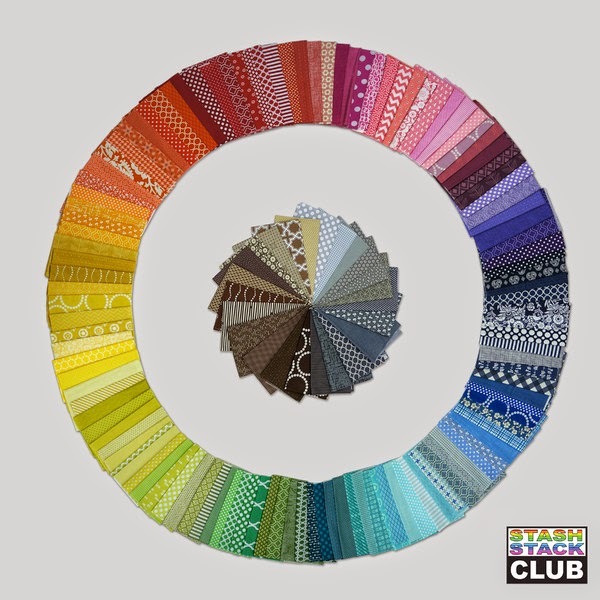 January 2015 Meeting -- Main agenda items include the 2014 Mystery Quilt reveal and Board nominations. Friday, January 30, 7-9 PM, Textile Center-- Trunk show and reception. Free for Mpls. MQG members, $5 for non-members. 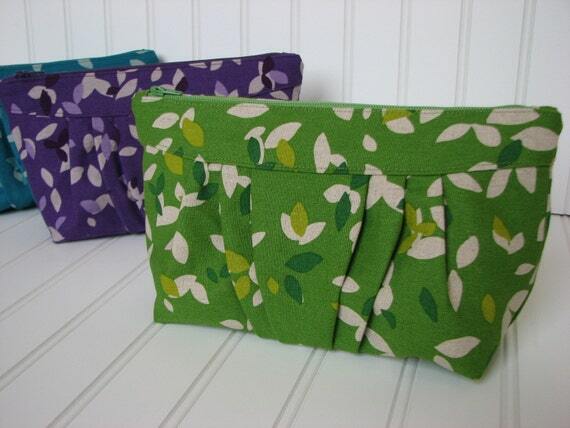 Saturday, January 31, 10 AM-4 PM, Textile Center-- Advanced Piecing workshop/class. Details on cost and materials are forthcoming. A copy of Vintage Quilt Revival is a class requirement, so you may want to put that on your holiday wish- list if you don't own it already (several libraries in the area also have this). 2015 Bees – If you are interested in joining a Guild Bee Hive/Group, please sign up or contact the board via email. We will have two categories – beginner and advanced. Each hive can set up their own agreed upon guidelines (i.e. frequency of exchange, number of blocks). Quilt Mentors Needed for Medical Students-- A group of U of M medical students have been given a grant to start a quilting group that will work together on a creative endeavor to learn quilting and ultimately make quilts to give to patients. The group is seeking knowledgeable quilters to help get them started. Please see Carrie F. if you are interested. Sue Heinz of Kismet Quilting gave an excellent demonstration titled “You’ve got a friend in Elmer”. Sue showed us the many ways that we can use Elmer's white school glue in our quilting to get accurate seams, professional looking binding, and more.